28 years after Hideo Kojima gave us the original Metal Gear on MSX2 he now closes the circle on the franchise with Metal Gear Solid V: The Phantom Pain. The emotions this brings up for me are on par with the last episode of LOST or when I read the final paragraph of Stephen King’s Dark Tower epic. The telltale sign that you’ve experienced something special is when you realize that you’ve been pondering its ending for days, perhaps even longer. It’s been over a week since I finished the game and I still find my mind returning to its story as this one strikes a nerve deeper than any game before it. This is mostly due to the fact that there’s never been this feeling of finality before, that this is indeed the end of Metal Gear as we know it. Kojima has claimed every game in the franchise was his last since 2004’s Snake Eater, so for over a decade fans have been able to take that with a grain of salt knowing that he would eventually feel the pull and give us more of what we love. But the well-publicized Konami/Kojima divorce changes everything, this will indeed be the last true Metal Gear game. 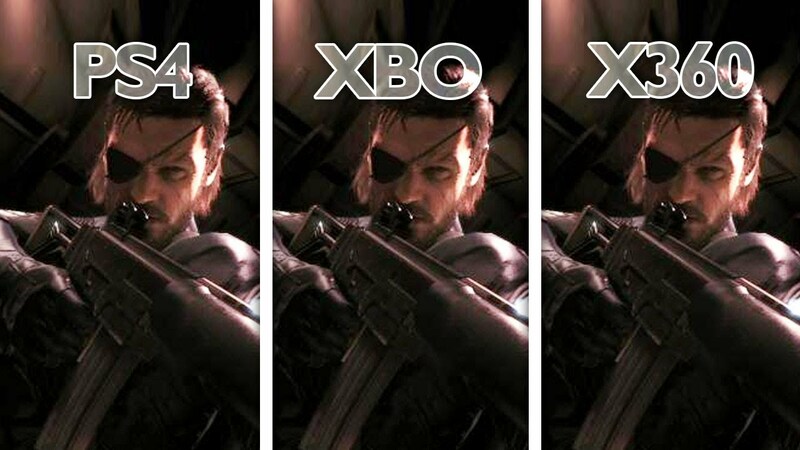 Sure, there will be more games with Metal Gear in the title, Konami has invested far too many resources into the new Fox Engine to allow it to be used only once. At best we’ll see a sub-par MGS game every 2-3 years, at worst the series will devolve into an annual third-person version of Call of Duty. Either way, future games will never recapture the magic of their Kojima-led predecessors. He is a true auteur and there are so many unique nuances, both creative and gameplay-wise, that are only found in the games he’s personally worked on. It’s comparable to the Jaws movies that are not directed by Spielberg or a Guns N’ Roses record that doesn’t feature Slash on guitar. The name might be the same but what made these things special is now missing and it’s destined to be an inferior product, never achieving the greatness of what came before it. Anyone expecting the inevitable Metal Gear Solid 6 to be on par with the games that blazed the trail for it is setting themselves up for disappointment. Players new to Metal Gear shouldn’t be intimidated from playing this game. There are a handful of recurring characters that will certainly feel more dimensional if you’ve played the previous games, but I was surprised at how little the rest of the saga was hinted at. I’ve been asked what games should be played before starting this one and honestly the events of Peace Walker and Ground Zeroes are the only ones that directly impact The Phantom Pain. It’s not necessary to play the games that follow in the MGS timeline at all, there’s a nod here and there but that’s it. Honestly, a quick look at Wikipedia would get any new players caught up enough to enjoy this game. Stealth action games have always been an acquired taste and understandably so. The very nature of the concept requires an unforgiving, punitive AI that you either get or you’ll likely find yourself throwing a controller. As Metal Gear has evolved it has become more user-friendly, The Phantom Pain is far more forgiving than the original game was back in 1987. In the past being discovered by an enemy soldier resulted in having to either face a seemingly endless wave of his comrades or forced the player to hide in a cardboard box until the alert passed which was very time-consuming. The Phantom Pain, along with its prologue Ground Zeroes before it, gives the player a window of opportunity to overcome discovery by introducing Reflex Mode. This briefly slows down time and if the player can quietly neutralize the soldier that has discovered them then the alert will be avoided. This not only speeds up the game but opens the door to take the occasional risk knowing that if discovered there will be at least be a chance of avoiding an alert. And it works on a narrative level as well, it makes sense that a legendary soldier like Big Boss would have such highly-tuned reflexes that he would be capable of slowing down time from his perspective. But if you want to go in all guns blazing that option is available as well. Everything from rocket launchers to a tank is eventually made available to the player, and there are a handful of missions that require the use of them. But the real thrill lies in scouting the enemy with your binoculars, creeping through the bushes, and tranquilizing them so you can use your Fulton balloon to send them back to your base and convince them to join your private army. This is unbelievably addictive, I found myself constantly on the lookout for an A grade soldier that could put my R&D team high enough to build me the latest high-tech gadget. But it goes even beyond that, I couldn’t stop using the Fulton to capture every crate, truck, machine gun, and mortar I could find. I lost count of how many sheep I extracted from the game’s version of Afghanistan and Central Africa. The construction and maintenance of Mother Base is one of the best side activities I’ve ever seen in a video game, and the rewards for properly managing your staff and resources pay large dividends in the end. The gameplay is tight and feels more more realistic than the likes of Call of Duty or Battlefield, players shouldn’t expect a twitchy experience and the pacing is excellent. Eventually the mechanics of every game become stale, no matter how great they are. But the Phantom Pain seems to know just when the player is about to get exhausted of a certain element and throws them something new. Getting a little tired of riding a horse? Well try this dog as a partner for awhile. Sick of that? Here’s your own personal sniper. Don’t like that? How about a mini-Metal Gear to drive around. It’s easy to appreciate this given how long the game takes to complete, having nothing but a horse to keep me company would’ve left me hating that horse by the end. Having so many options to choose from forced me to strategize as I prepared my load out for every mission. And that’s where the real beauty of the game lies, there are no set in stone ways to do anything. The only limit on how the player accomplishes the goal is the their imagination. The true open world in The Phantom Pain isn’t the huge sandbox you play in, it exists in the player’s own mind as they scroll through the virtual toolbox and prepare their own personalized plan of attack. You have control over what weapons you choose, the buddy that accompanies you, even the time of day that the mission starts. There won’t be any two players that have the exact same experience with this game which certainly adds to the game’s replay value. What would happen if I assaulted the fortress at night with the dog instead of during the day with the Metal Gear? The possibilities feel endless, almost to the point where they overwhelm. It took me 62 hours to work my way through the story’s completion. 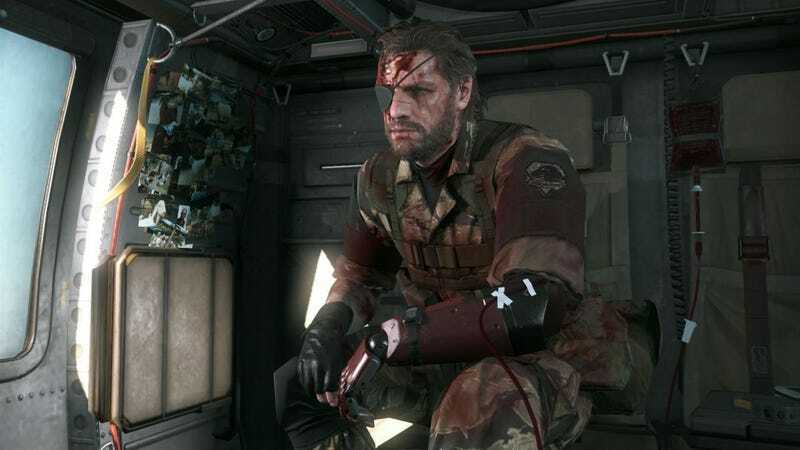 As excited as I was to see how the story of Big Boss ends I was very apprehensive about finishing the game and wanted to make the most of the experience knowing it would be my last chance to play as one of my favorite characters in the gaming. That time includes the core story missions and plenty of the side ops, most of which are optional but feature a half-dozen or so that are mandatory to finish the story. The side ops generally go quickly and completing them rewards the player with resources that can really help with the construction of the game’s main base of operations, Mother Base, so it’s worth the time it takes to play through them. Kojima has long been criticized for his use of lengthy cutscenes and his overreaction to this is painfully apparent in his final MGS game. The 30 minute plus movies seen in previous games are missing from The Phantom Pain, as the story is told in either condensed cutscenes or through audio cassettes, a decision I find very disappointing. Granted the long mini-movies in the past have never been a problem for me, but much of what is told to use via the cassette tapes is very important to the story and I would’ve much rather seen it on screen than simply be told about it. There are over a hundred cassette tapes to be listened to, and at around 2-3 minutes a piece the time spent listening to them really adds up. Only the most diehard MGS fans are going to take the time to go through these which means most players are going to be left with an incomplete story. I usually listened to the tapes while I travelled from one point to the other which saved time but also robbed me of the opportunity to soak in the sounds of the environment. The cassette tapes were quite prevalent in Ground Zeroes, so I wasn’t at all surprised that this happened. The use of them certainly adds a sense of authenticity to the era the game is set in, but it’s disappointing we didn’t get to see the action as well as hearing it. And the codec exchanges, a mainstay of the franchise since the original, are totally missing from this game. The Phantom Pain also falls flat in the boss department. Metal Gear’s history is full of rich, interesting boss fights and there’s just nothing that comes close to measuring up in this game. This is Metal Gear, so you’re inevitably going to take on some form of nuclear-capable robot, but other than that there’s just not much here. MGS 1 featured a psychic that was capable of reading your PS1 memory card and would taunt you with the titles of other games he found on it. Sons of Liberty pitted you up against an overweight bomb maker on roller skates. Snake Eater’s final boss is arguably the most emotional experience in the history of games. 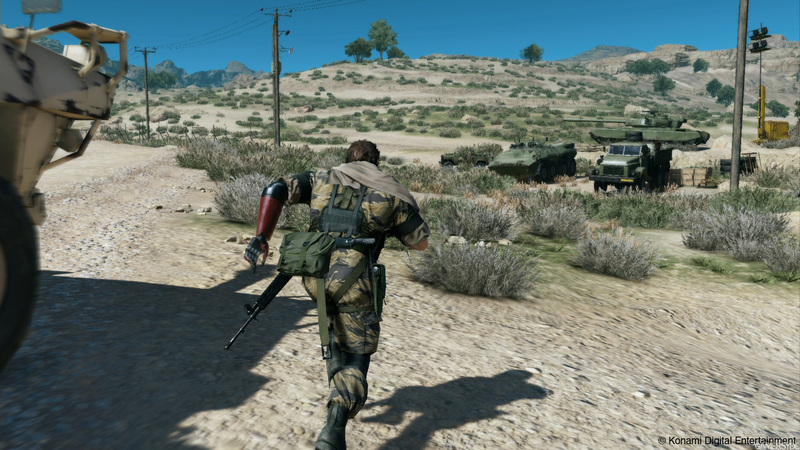 And Guns of the Patriots gave us an actual Metal Gear on Metal Gear boss fight. I’s hard to top any of those, and it feels like The Phantom Pain knows this and just decides to not even bother trying. Kiefer Sutherland is fine as Big Boss, but I was surprised at how sparingly he ends up being used. The protagonist has such little dialog in this game that I could easily believe his lines were recorded in a single day. During cutscenes he’s often left a spectator in his own story as other characters discuss and argue over the latest situation they find themselves in. Much was made of the decision to replace David Hayter, the only actor to voice the character up to this point, with Sutherland and I’m not sure what the point was if the intention all along was to utilize him so little. So where does the franchise go from here? Personally, I hope they leave the Big Boss corner of Metal Gear alone. We’ve seen that a spinoff can work in 2013’s Metal Gear Rising, which exists in the same universe but goes to great lengths to stand on its own as something unique. We saw the two stories cross over in the Ground Zeroes as Rising’s protagonist Raiden turned up in an unlockable bonus mission. Naturally this shouldn’t be taken as canon but perhaps his inclusion can be taken as a sign that Konami is willing to explore other adventures within the same world. But the Big Boss story thread now spans from 1964 to 2014 which is enough for me, and after such an admirable send off it’s time for everyone, including myself, to move on.